Not enough hands to take care of business and still answer the phone? How do you answer your ringing phone while giving Sasha the Siamese cat a bath or while shaping the fur of Precious the Poodle? You stop what you are doing, of course, and hope the animal stays put! Or you don’t answer the phone and hope the caller leaves a voicemail that you can get back to later. But what if the caller does not leave a voicemail and then calls your competitor? There is an easy solution to this problem, a live Telephone Answering Service for Pet Groomers! Let Call Center Plus be your live telephone pet grooming answering service. Not only will we answer your ringing phone and take your messages, but we can also make appointments and send reminder calls to your clients. Your clients can call your business anytime day or night and get a living, breathing person on the other end of the line whether you are actually in the office or not, because we are here 24/7/365. We act as an extension of your office. How does it all work? We give you a proprietary number to forward your phones to. People dial your number and we answer using your business answer phrase. We take the message or make the appointment and then we deliver the message to you by email, SMS text, fax, or any combination of the three. We are affordable. You only pay a nominal account maintenance fee each billing cycle and then just pay for the operator minutes you use. Since we bill in real time, we round up the operator time to the nearest second, not the nearest minute. Since you won’t ever miss another potential customer’s call we help you grow your business. No more lost clients = no more lost revenue. At Call Center Plus, we know that no two pet grooming services are exactly the same in size or needs. When you hire us, you get all of our services. We can customize what we do for you to make you stand out, making your services the one to remember. 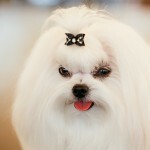 Let callcenterplus.com be your live 24 hour telephone pet grooming answering service. Mention: Answering Service for Pet Groomers, Pet Groomers Answering Service or Pet Groomers Call Center to receive a Free 2 Week Trial! !